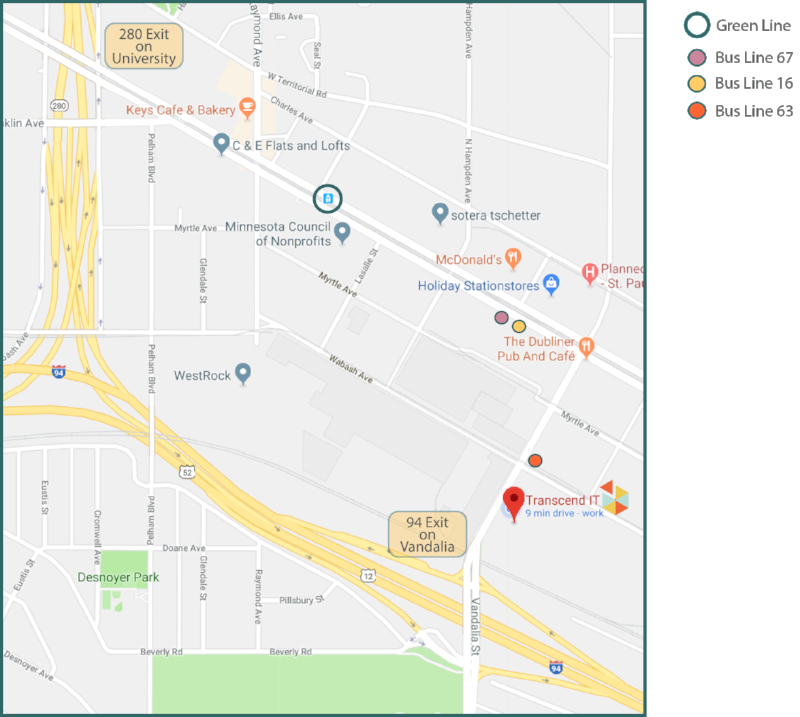 Our location is conveniently placed to provide you with ample parking on both sides of the building and off street parking. We are located on bus lines 16, 63 and 67 that transits from both Minneapolis and St.Paul. The Green Line makes it convenient for commuters to get off on Raymond Station and walk four blocks to our facility! For elevator access inside the Vandalia building, please call us and we will provide access!